Whether you are experiencing a technical issue, need help figuring out what equipment to buy, need advice on how to get started, need tips on what to do to improve your current podcast, or need assistance with engaging your audience, Pro Podcast Solutions can help. Pro Podcast Solutions offers the most robust selection of services that you will find, delivered by a team of audio-production experts. If you’re looking for audio editing and production for your weekly podcast, our podcast production packages are perfect for you. We offer three tiers of professional podcast production: MVP, All Star, and Hall of Fame. In addition to our podcast-production packages, we offer many of our services a la carte. This means that you can add any a la carte service to an existing package to create a custom package (see pricing below), or you can purchase a la carte services as a stand-alone item. 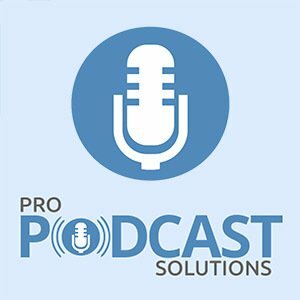 Pro Podcast Solutions is one of the most experienced podcast-production companies available to you. We’ve been podcasting since 2008 and producing great-sounding audio longer than that. We’ve helped launch over 100 podcasts and our podcast-editing experience is second to none. Each of our podcast producers has edited over 1,000 podcast episodes.